Globetrotters will enjoy polished comfort in our Northport Hidden-Button-Down Travel Shirt. Wherever your travels take you, this ingenious Northport Hidden-Button-Down Travel Shirt will ensure you arrive unruffled. Made from a superior cotton blend, this technical fabric dries quickly to help keep you cool and features two-way stretch for supreme comfort. 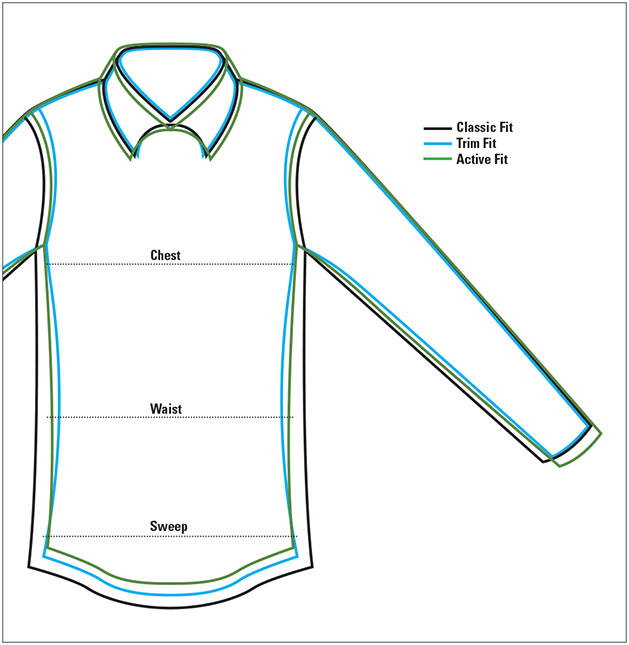 Our traditional hidden-button-down collar keeps things tidy, while back side-pleats and two-button adjustable cuffs allow you to find your perfect comfort zone. And we've hidden an eyeglasses cleaner in the hem, so you can see your destination clearly. Go ahead and hunker down during that 18-hour flight from LA to Singapore. Or the eight-hour Railjet from Vienna to Venice. One button-through patch pocket. Cotton/nylon/spandex. Washable. Imported.